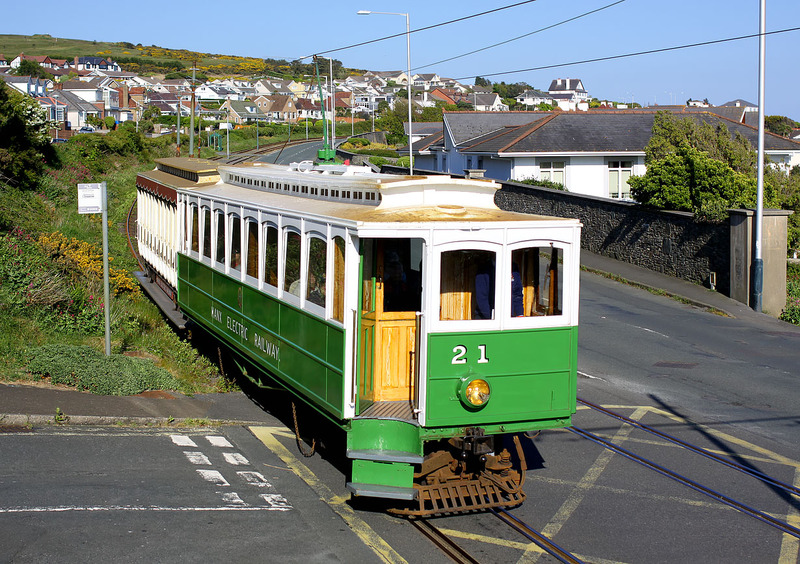 Running wrong line, due to major engineering works, Manx Electric Railway car 21 and trailer 47 pass Onchan on 10 May 2017 with the last train of the day, the 16:40 Ramsey to Douglas. The train is crossing Howe Road. Although there is no visible evidence here, this is one of the railway's minor stopping places, known as Boncompte's. There are lots of these small halts, in fact the next one, known as Majestic (complete with the luxury of a shelter!) can be seen in the background, just above the trailer car.